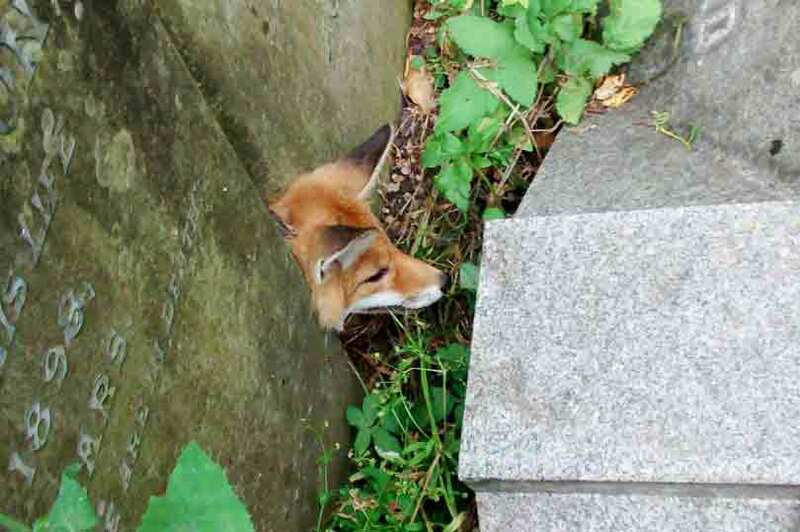 A fox found itself in a tight squeeze after its head became trapped between two headstones. Rescuers from the RSPCA saved the fox from a grave ending wedged between two stones at the neck. A concerned member of public alerted the animal welfare charity to the fox which desperately tried to push itself backwards but with no luck. Inspector Georgia McCormick who freed the fox said: “I’m not sure how he managed to get there, or how long he had been there for, but he really was in a tight spot. “The call came into us at 11am, and as foxes are nocturnal animals I can only imagine he had been there from the night before. “I managed to carefully free him and check him over - thankfully he wasn’t injured and so he was released back into the wild. The daring fox was seen struggling for freedom in the graveyard of St Mary Magdalene Church in Leamington Spa, Warwickshire. Anyone who sees injured wildlife or an animal in distress should contact the RSPCA, 24 hours a day, on 0300 1234 999.